There is something special about watching a family grow through the lens of a camera. This was my second photography session with the Nuesmeyer family and I loved watching the little girl I met a year ago turn into the soon-to-be big sister she is now. 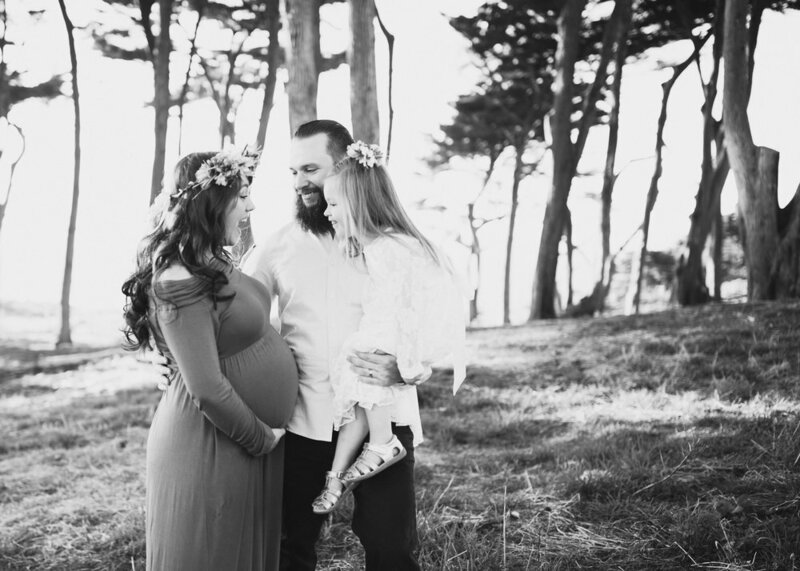 I think a maternity session is the perfect time to take advantage of the beautiful scenery that surrounds us in the San Francisco Bay Area. I will be in-home to capture the first moments of the newborn babe, so this way you have the best of both worlds. And the captures of these precious fleeting moments are memories to treasure for a lifetime. Thank you Nuesmeyer family for letting me be a small part of this special phase of your life, celebrating your beautiful family of three and anticipating the incredible joy of the baby boy on his way!